Dr. Schilling was born in Fond du Lac, Wisconsin and attended St. Mary’s Springs Academy. She received her B.A. in English and Education from Marian College in 1964, her M.A. from the University of Wisconsin-Madison in 1968, and her Ph.D. in Educational Psychology from the University of Wisconsin-Madison in 1976. The title of her dissertation is: The effects of specially designed concept lessons and instructional programming for the individual student on children's achievements in science. From 1976 to 1980, Dr. Schilling taught psychology and educational psychology courses at Milton College in Milton, Wisconsin. She was a lecturer at the University of Wisconsin Madison from 1979 to 1980. Since 1980, she has been a faculty member of the Department of Psychology at Edgewood College. 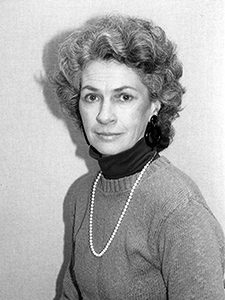 Dr. Shilling has served as Department Chair since 1985 (with a 3-year break).